1. 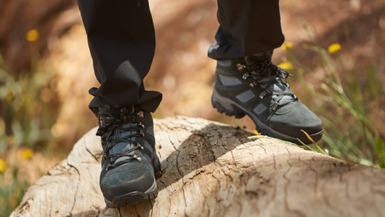 Terrain – Before choosing which pair to wear consider the terrain you will be walking on. If you are walking on established and maintained pathways or road/street surfaces then you probably only need a shoe. If you are planning on walking off the beaten track or on sharp rugged terrain you may want to go with your boots for the extra support and protection. 2. Weight – Walking shoes are usually a lot lighter than boots. If you’re on a short walk then you don’t want heavy boots on your feet weighing you down, you’re better off with a shoe so you’re lighter on your feet. If you’re walking around all day a lighter shoe makes all the difference. 4. Protection – People prefer walking boots as they protect your ankles from scrapes and bumps where the terrain is a bit harsher, the high support can also reduce the severity of any twists and sprains. However you’re lighter on your feet with walking shoes and tend to take better care with where you step. 5. Durability – Boots tend to be a lot more durable than walking shoes, I’ve had the same pair of leather walking boots for over 10 years and they still do the job. You will tend to find that with the materials used to make walking shoes that they don’t last as long, however this is normally due to the fact that people wear their walking shoes more than their boots as they are more suitable for day to day activities (not just hiking) where as they may only use their walking boots a few times a week or a couple of times a month. 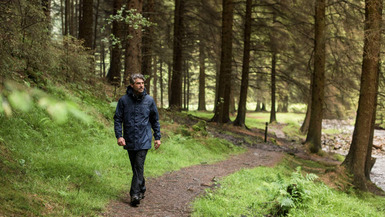 Take a look through our wide range of outdoor footwear and see which pair suits your needs.